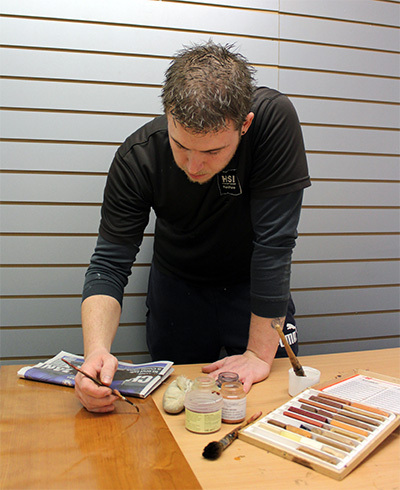 We have experienced French Polishers who can complete work on site or in our workshop. We use traditional methods and also use modern two pack liquors for more durability in heavy traffic areas. Marks and stains are removed and tired furniture is transformed with a high gloss, deep shine. We french polish modern and antique furniture, restoring it to its former glory or matching new furniture as required. We can supply day rates or individual cost for each item and work can be done outside normal working hours if required. 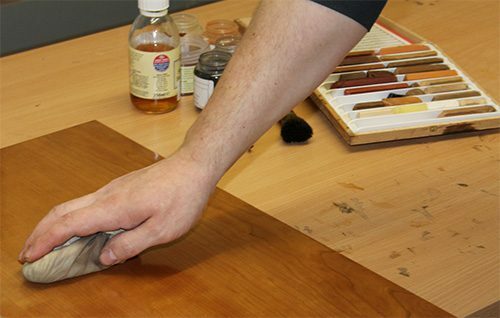 Our French Polishers work on-site throughout London and the South-East, we can also offer a collection and delivery service as required for polishing to be completed at our workshops in Reading, Berkshire. Get in touch to request a no obligation quotation. Here’s an example of restoration work we recently undertook to rescue this door. 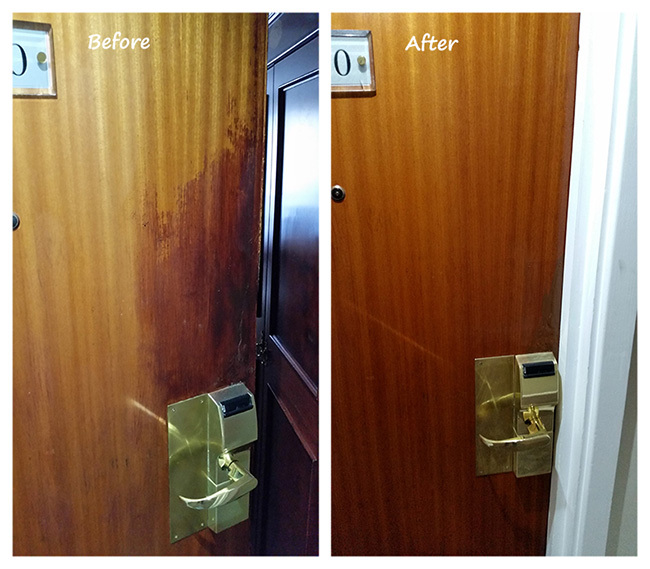 The door had been damaged and an attempt had been made in-house to stain the damaged area leaving an unsightly mismatch between the original door colour and the repaired area. Our polisher set to work removing the stain before returning this door to its former condition and matching all the other doors within the corridor.